I love the sudden burst of leopard skirts in every fit you can imagine to suit your body. 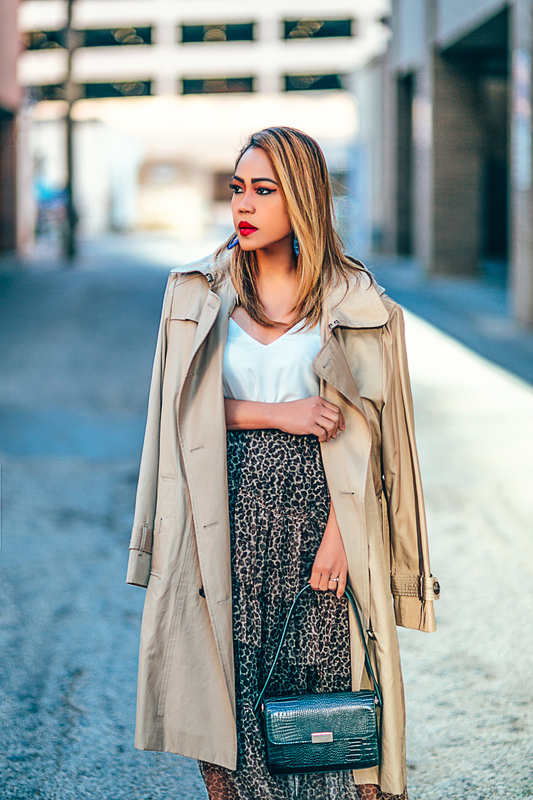 I styled this ruffle leopard midi skirt from Chicwish with a simple white top & a long trench coat. This easy equation can be translated over to most of the styles that leopard skirts are being offered in. And I’ve linked up some favorites for you from Chicwish. Thank you so much for reading. Have a fabulous weekend! This is a sponsored post brought to you by Chicwish. The opinions are completely my own based on my experience. Oh wow this leopard print skirt looks absolutely incredible on you! The various ruffled layers are a dreaaaaam! What a cute skirt! I love how you styled it with the pink sweater. Beyond perfect in this leopard number. Btw…I love your hair color, very beautiful! Have a wonderful weekend Len! What a nice leopard skirt… You are so beautiful! Have a great weekend. this is such a fab look! love the skirt! Oh MY that IS a fun skirt!! And yes the styling options are endless. I love leopard skirts too. You look amazing!!!! I love that skirt and how you paired it with the pink jumper and booties. I have been eyeing it for a while now! Have a great day! Great post! These photos are gorgeous, and i love the little tidbit facts you threw in there. It makes this article so much more interesting. 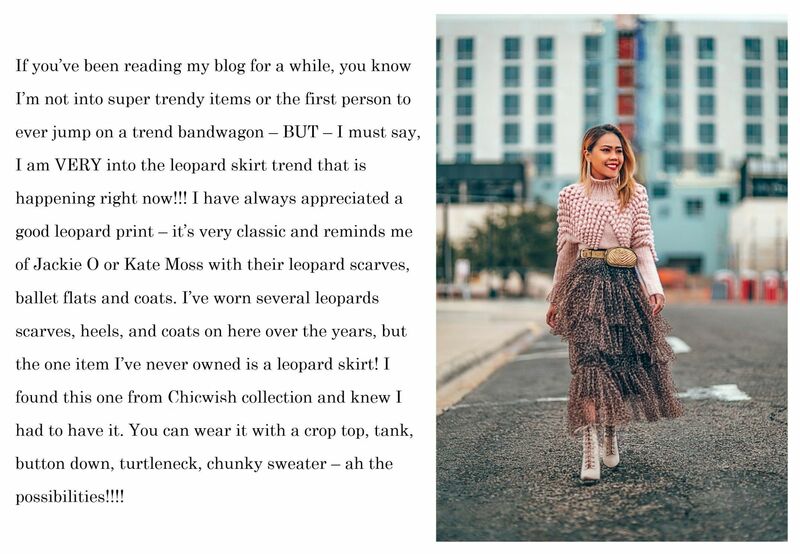 So cool how you styled the leopard skirt! You look gorgeous, that skirt is very pretty.